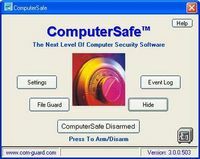 Computer Access Control Tool. Restricts access and protects your PC. Make sure no one except you can access your computer while you are away from it! 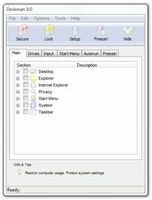 Protect yourself from unwanted data becomes permanently hidden in your PC. 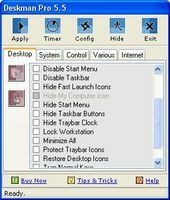 After your work on PC remain some items wich reduce your privacy level.Erase it! Aston Secure Desktop constrains the ability to alter the admin-defined settings. The most advanced Auto ShutDown application on the market. 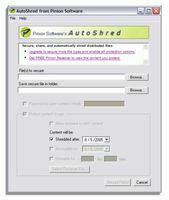 Windows-based software for protecting MS Word (DOC) file attachments. Disables the mouse and keyboard while Baby or pet walks on them! Chat Controller is a parental control program to control chatting. 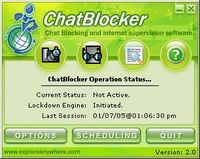 ChatBlocker allows you to moderate and supervise all chat activity on your PC. 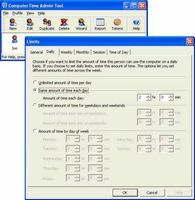 Set time limits and monitor computer use: hours per day/week/month, time of day. Control Kids filters all the website noscive or objectable contents.